helping increase the effectiveness of all parishioners engaging as Orthodox Christians with Australians everywhere. Do let us know if you’d like to talk or whether we can help you in any way. Baptised and raised in the Church of England, after migrating to Australia he was ordained into the Anglican Church of Australia where he served for nearly two decades. Fr. Geoff was drawn to the Holy Orthodox Church because of its faithfulness to Christian Tradition regardless of adversity or persecution. Fr. Geoff is a people's priest. He's often heard humming as he walks around The Religious Centre, because he’s discovered that at the centre of the universe there is an open Invitation to a Loving Relationship. Parishioners at The Good Shepherd are drawn to Fr. Geoff's enthusiasm, thoughtfulness and wise counsel. Fr. Geoff is The Good Shepherd's lead preacher, teacher, confessor, and sacramental server. His service is supported by his wife, Janet. Father Geoff and Khouria* Janet have been married 40 years, and she supports Fr. Geoff’s ministry by organising and preparing music, beautifying the church and loving people. * Khouria is a title of honour for a priest’s wife. Deacon Nicholas was increasingly attracted to Orthodox worship and liturgy each time he experienced it. As a youth, he saw an Orthodoxy Liturgy on television. On travelling through Greece he attended a Christmas Liturgy. Later, he was introduced to Orthodox theology. These experiences led him to be received into the Orthodox Church by Chrismation in 1988 before the All-Night Vigil on the eve of Pentecost. Deacon Nicholas was a founding member of the first English-speaking Orthodox parish in Melbourne, Holy Trinity. He served Holy Trinity as Church Warden and member of its Parish Council for many years. In 1993 he was ordained a Reader; in 2012 ordained a Deacon. 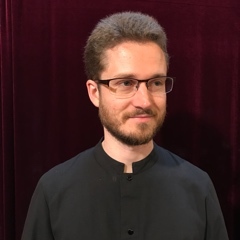 Deacon Nicholas is beloved for his skillful singing, chanting and mastery of Orthodox Liturgy. He is a patient teacher, always being willing to demonstrate and explain the spiritual lessons of the Liturgy. Deacon Nicholas supports Fr. Geoff, serving at his side in worship, sharing his pastoral counsel, and preaching regularly. Raised by Pentecostal missionary parents in South America, Sub-deacon Timothy had a desire to serve God from a young age. In his early twenties he was attracted to Orthodoxy by its beauty, its treasury of spiritual wisdom and the benefits he saw in the application of its ancient prayers and fasting practices. He is joined by his three beautiful children Isaac, Symeon and Elizabeth, whom he homeschools. 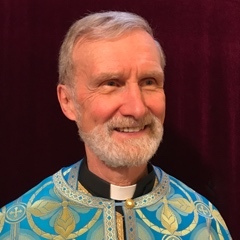 Sub-deacon Timothy serves both The Good Shepherd and Holy Transfiguration (Belgrave) parishes, sharing his time evenly between the two. He serves with Fr. Geoff & Dcn Nicholas and preaches from time to time, having learned from listening to his father’s sermons every week as a child. 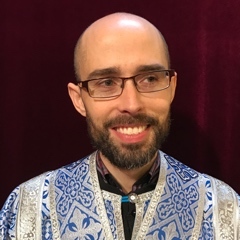 Raised in a family exploring eastern mysticism, Sub-deacon Patrick started his journey in Christ within Roman Catholicism. He was introduced to Eastern Orthodoxy through his now-wife Anna, who is of Russian descent. He was drawn to Orthodoxy by the beauty of the prayers, the richness of the Liturgy and the organic feel of the Church. 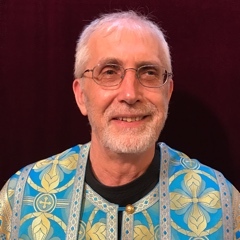 Beloved for his good nature and willingness to help, Sub-deacon Patrick assists with the Liturgy and regular Molieben services, sings in The Good Shepherd Choir and delivers a short history of one of the saints being commemorated each week. He also preaches interesting sermons from time to time. When he is not at Church he spends his time working as a high-school teacher and helping to raise his three beautiful daughters. Visitors are welcome to attend any of The Good Shepherd’s worship services. Fr. Geoff may be contacted via email. Fr. Geoff also serves as a Monash University Chaplain, and would be happy to set a meeting with you.